What Are The Benefits Of Cactus Plant? Behind the thorns are many edible cactus plant species. Some of the edible cactus species are known as Indian fig, pear cactus plant, thorny pear or nohpalli and nopala. In particular, there are over 100 species of cactus known as nopal. This edible cactus plant, which grows wild in the desert regions of Mexico, is used in kitchens and in the construction of medicines.The leaves of the nopal cactus plant can be eaten when stripped of their needles. This cactus plant, which is often found in green, is sometimes marketed as purple. Nopal cactus, which is produced in Mexico and southwestern United States and has its own market, is conveniently located in stores. Can be eaten fresh in canned food. Cactus Plant is high in fiber, so it enables smooth muscles to function properly. It also stimulates peristaltic movement, thereby reducing symptoms of diarrhea and constipation. Fiber, on the other hand, reduces cholesterol levels in the body and protects the heart health. Cactus Plant helps to lose weight because of its components. Fiber can stop the release of the starvation hormone ghrelin. Therefore, it can keep away from excessive eating. On the other hand, cactus plant is extremely low in saturated fat and cholesterol. However, the nutritional values are quite high. Vitamin B6 and riboflavin support the good functioning of metabolic functions, while cactus supports weight loss by burning fat as well as energy supplementation. According to research, cactus leaves can help lower high cholesterol levels in the body. Especially in clinical studies on women, cactus plant has been shown to reduce cholesterol and triglyceride levels in the body. This food, which is very functional, can thus help to eliminate the risk of heart problems. High blood sugar levels in the body cause many diseases, including diabetes, stroke, and heart disease. Consuming cactus leaves helps to reduce blood sugar levels in patients with obesity and diabetes. In particular, a study on patients who are not obese has shown that cactus plant consumption leads to an 11 percent reduction in blood sugar levels. Cactus plant has anti-inflammatory properties. Therefore, free radicals in the brain cells can help to reduce the damage. According to research, 3-methyl ether can protect the brain cells by providing antioxidant properties of kuçercetin, dihydrouersatin. Cactus inhibits the formation of free radicals in brain cells, so it has a protective effect on the brain by its anti-oxidative flavonoid activity. Contains several antioxidants that can help protect healthy cells from damage from free radicals. According to a 2009 study, cactus can be effective on the cells that cause breast, prostate, Colon and liver cancer. Cactus leaves contain phytochemicals. This prevents cancer cells from growing without damaging healthy cells. Cactus has the ability to fight infections in the muscles, veins, gastrointestinal tract and cardiovascular system. Urinary tract infections, kidney disorders such as cystic kidney diseases, and certain metabolic disorders such as hyperparathyroidism are also linked to Stone formation. Free radicals contain substances that can neutralize them without damaging them. Cactus, which has analgesic and anti-inflammatory properties, can also fight ulcers and edema. Cactus leaves are extremely high in antioxidant and flavonoids. Cactus can neutralize the effect of free radicals before entering the liver with this content. Antioxidants absorb toxins and scavenge them from the body. Thus, it helps the liver to function properly. Thanks to their ability to prevent atherosclerosis, lower cholesterol and maintain cardiovascular function, cactus leaves can reduce heart disease risk. Some of the minerals found on cactus leaves can help keep heart beat and heart rhythm at normal levels. Various researches that have been done say that cactus may be effective in the treatment of symptoms such as staying in the evening living in people. Cactus, which is both anti-inflammatory and antioxidant, can help relieve post-alcohol situations. Cactus leaves have earned a worldwide medical reputation for the treatment of cuts, burns, wounds and fractures. The cactus works to remove the leaves from the pain and to make them heal. Cactus, now known as an anti-inflammatory, can be useful for the treatment of wounds. Calcium is an important mineral found in milk, yogurt, cheese and dark green vegetables. Calcium is one of the most important components of bones and teeth. Calcium in cactus plant is necessary to stop bleeding, blood clotting and normal functioning of nerves, muscles and heart. The cactus plant is surprisingly rich in natural vitamins and minerals. At the same time, cactus containing manganese is very useful for thyroid health. Cactus contains more manganese than the recommended manganese requirement on a daily basis. Therefore, it is useful to pay attention to the amount of consumption. Thus, it supports the metabolism of healthy thyroid. People usually think cactus is dangerous because of its thorny surface. However, many cactus species can be eaten. For example, it is said that the cactus species, known as prickly pears, prickly figs or Indian figs, is very useful. 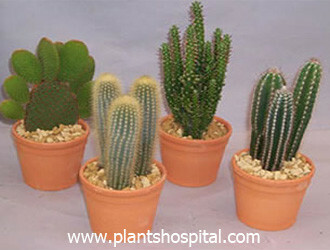 Cactus plant, which gives fruit for a maximum of three years, has very important capacities. The benefits of cactus type fruit, known as prickly pears, prickly figs or Indian figs, are listed as follows. 1) Contains 1/3 of the daily vitamin C requirement. Vitamin C, also known as ascorbic acid, strengthens the immune system by stimulating the production of white blood cells and by acting as an antioxidant in the body. 2) There are plenty of calcium cactus, which is an integral part of the body’s nutrition system. Calcium is very important for the creation of bone tissue in the body. If there is enough calcium in the system, it can prevent various dental problems, as well as age-related bone disorders such as osteoporosis. 3) Cactus fruits are rich in fiber. This is why it helps the digestive system to function properly. It supports the digestive system by eliminating more serious gastrointestinal problems such as constipation, bloating and colon cancer or stomach ulcers. 4) Above all, cactus fruit relaxes the blood vessels with fiber and potassium support. Thus, stress decreases, lowers blood pressure and prevents bad cholesterol. All of this protects heart health and reduces the risk of diseases. 5) Prevents healthy cells from returning to cancer cells because it contains antioxidant compounds. 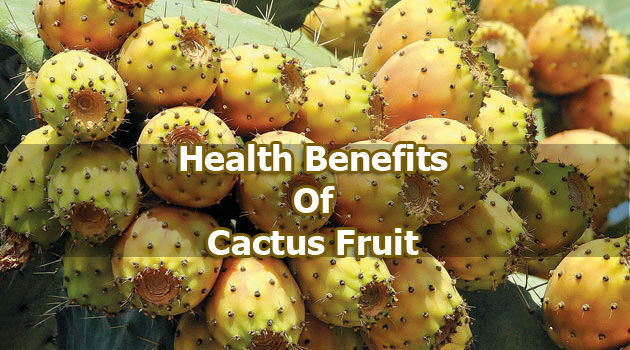 Cactus fruit, which also contains flavonoids, polyphenols and betalains, is highly effective in preventing cancer. 6) Antioxidants in addition to helping prevent cancer, prevent macular degeneration, improve vision, reduce the risk of premature aging, skin health about remain. It increases the power and functionality of the brain. Thus it eliminates dementia and Alzheimer’s disease. 7) High fiber ratio and nutrient saturation make cactus fruit a very healthy and helping to lose weight. 8) In traditional medicine, cactus fruit is applied as topical to inflamed areas in the body. It can therefore help relieve inflammation in conditions such as arthritis, gout, or muscle strain. When eaten as food, prickly pear cactus is considered safe. For a short time, prickly pear cactus consumed leaves, stems, flowers and fruit through the mouth as a drug in the appropriate amounts are probably safe. Some side effects of prickly pear cactus may include mild diarrhea, nausea, increased stools, bloating, headaches and frequency. Pregnancy and Breastfeeding: If you are pregnant or breast-feeding, there is not enough reliable information about the safety of prickly pear cactus consumption. It is useful to avoid using it to stay on the safe side. Diabetes: Prickly pear cactus can lower blood sugar levels in people with diabetes. If you have low blood sugar (hypoglycemia) or diabetes, your blood sugar levels should be monitored while using prickly pear cactus. Surgery: Prickly pear cactus can affect blood sugar levels. It is important to check your blood sugar levels during and after surgery. Consumption should be stopped at least 2 weeks prior to the specified operation date. As you can imagine, the first thing you have to do is get rid of the thorns. It is possible to buy cactus leaf from local markets or from the internet. You can slice cactus leaves and add them to the salad. For Diabetes: On a daily basis, 100-500 grams of grilled pear cactus is recommended. Doses are usually divided into three equal parts and given throughout the day. For a Hangover: You can get prickly pear cactus extract 5 hours before taking alcohol.